Lack of demand for extra content means that the story ends here for Wii U owners. The Wii U version of last year's action-adventure title Batman Arkham Origins will not receive the previously announced downloadable content. Users who purchased the game's Season Pass, which had been sold for $19.99 in North America and £15.99 in the UK, will receive a full refund to their Wii U eShop account. The Aura Pokémon will be even more potent this time, says Sakurai. Lucario is the latest veteran fighter to be confirmed as a returning character in the upcoming Super Smash Bros. for 3DS and Wii U. The Fighting/Steel Pokémon, who falls at #448 in the National Pokédex, made his series debut in Super Smash Bros. Brawl on Wii, in which he was known for his signature Aura ability that increased his attack power as he sustained more damage. For a very limited time in the USA! American Nintendo 3DS owners who missed out on the earlier release of The Legend of Zelda: Four Swords Anniversary Edition have another chance to download the title. For a strictly limited time, the game is now available for free as a download from the eShop. The rerun comes as part of a promotion to advertise the Wii U Virtual Console release of The Legend of Zelda: A Link to the Past. 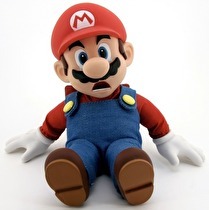 Bandai's S.H.Figuarts line of poseable action figures has adopted Nintendo's mascot character into its ranks. 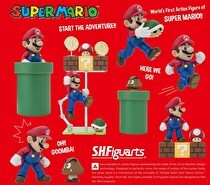 Toted as the world's first full action figure of Super Mario, the Figuarts toy looks like it comes with an incredible amount of articulation on his limbs and torso. As with most of these style of toys, clear plastic stands will allow you to position Mario in all manner of impossible mid-air poses. Two cool posters for New Leaf fans. An Animal Crossing: New Leaf 2-Poster Set is now available as a reward for North American Club Nintendo members at a cost of 500 coins. The first poster focuses on New Leaf characters that can, and will, appear in any players village in a setting that looks like the Animal Crossing Plaza. 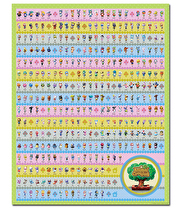 The second poster is a big list of all the standard villagers that appear in New Leaf. 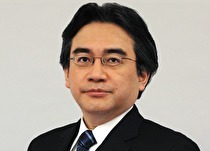 Iwata believes expansion will bring new customers to consoles. Nintendo will use smart devices to bring new customers to their consoles according to President Satoru Iwata. The service will start later this year. Five titles in the Wii U's library have surpassed the million-sales mark worldwide. Also, a new Speed Boot mode is coming early summer. 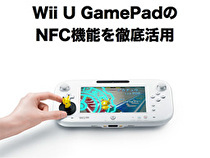 Games using the Wii U GamePad's Near-Field Communication (NFC) functionality will be demoed at E3 2014. Also, an early summer system update will make use of a new Speed Boot Menu option that will allow GamePad users to start up the game quickly. See how it works in the short video at the bottom of this news story. They overcame that "technical problem" that was preventing them from doing this. 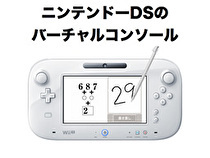 DS games will be hitting the Wii U Virtual Console at some point, said Nintendo President Satoru Iwata. While no timeline was given, Iwata noted that they "solve(d) the technical problem" to create the DS Virtual Console on Wii U. 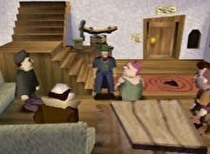 Brain Age was shown as one of the games for the service. There is still no word on Game Boy Advance games coming to the Wii U Virtual Console. Spring 2014 has gotten shortened to May. Mario Kart 8 is coming out in May 2014 across the world, according to Nintendo President Satoru Iwata. 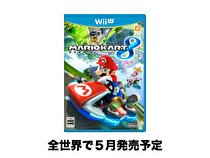 Previously listed as a spring 2014 release since its announcement at last E3, more information about Mario Kart 8 will be revealed in upcoming Nintendo Direct presentations. 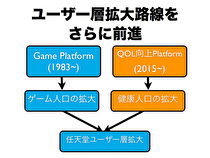 Nintendo's business plan for the next decade will revolve around developing a "Quality of Life" based platform. No details are available yet, but Nintendo President Satoru Iwata indicated that more details would be revealed in 2014, and the platform would be launched in April 2015. 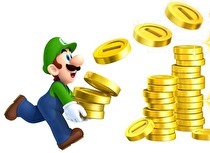 The new business area would impact Nintendo's profitability in the fiscal year ending 2016. Board members to see pay cut as well. Nintendo President Satoru Iwata announced that he and other board members will receive a pay cut in their salary for the next five months. The decision came after Nintendo reported a 30 percent decrease in profits today. Business strategy will be discussed Thursday. Nintendo’s profit fell 30 percent in the nine months between April 1 and December 31, 2013 according to according to Nintendo’s Third Quarter Earnings Report released today. Overall profit was reported at 10.2 billion yen ($99.7 million) which was down from the 14.55 billion yen ($142.6 million) from the previous year. Quarterly numbers were not reported. Wii U continues to underperform. The Nintendo 3DS exceeded expectations and became the best-selling platform in America this past year, according to Nintendo’s Third Quarter Earnings Report released today. This report reflected sales from April 1 to December 31, 2013. 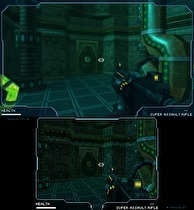 Sales for the console was tied to successes of 3DS exclusive titles which saw high sales during the year. 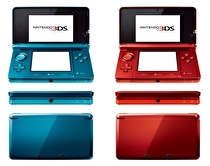 Outside of the United States, the 3DS saw limited growth, with global sales hitting 11.65 million. Now could be a good time to sell your stock. Nintendo will be buying back up to 10,000,000 shares of their own stock, the company announced today. The move was decided following a meeting of the Board of Directors and will be pursued in accordance with the Japanese Companies Act. The number of shares to be acquired reflects 7.82% of stock in the open market and will be purchased using up to 125,000,000,000 yen ($1,209,250,000) from January 30 to March 31 on the Tokyo Stock Exchange. 'Monster Hunter 4 goes G' whatever that means. At Monster Hunter Festa '13 Final Round, Capcom announced Monster Hunter 4G for 3DS, the expanded version of Monster Hunter 4, which sold more than 3 million copies in Japan since it was released in September 2013, and released a trailer. Monster Hunter 4G is scheduled to come out in fall 2014. Players of Monster Hunter 4 will be able to transfer most of their save data to the new game. The canned N64 sequel to EarthBound might have been closer to reality than what was previously thought. The depths of the moon will be explored across a long-term episodic model. Mutant Mudds developer Renegade Kid has announced Moon Chronicles, a first-person shooter for 3DS that will be released over several seasons, beginning with a remake of DS title Moon from 2009. It's another slow week in Nintendo Downloads. If you thought the last few weeks were slow, this week has them all beat. 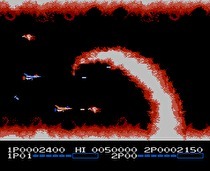 The releases for this week included both Life Force, for the 3DS VC, and Mighty Bomb Jack, on the Wii U VC. That's it. 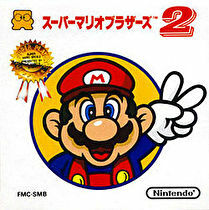 Find out why Miyamoto was so against the use of the peace sign by the plump, lovable plumber. Shigeru Miyamoto pushed strongly for a peace sign “ban” in Mario titles. While it isn’t known exactly when he started to push this agenda, in an interview Shigesato Itoi conducted with Miyamoto in 1999, Miyamoto explained that the main reason he wanted to get rid of the peace sign was to help shake the “kiddie” image, and to make sure that people would not only know Mario for the gesture.